Asian stocks lower again overnight and the USD has strengthened. 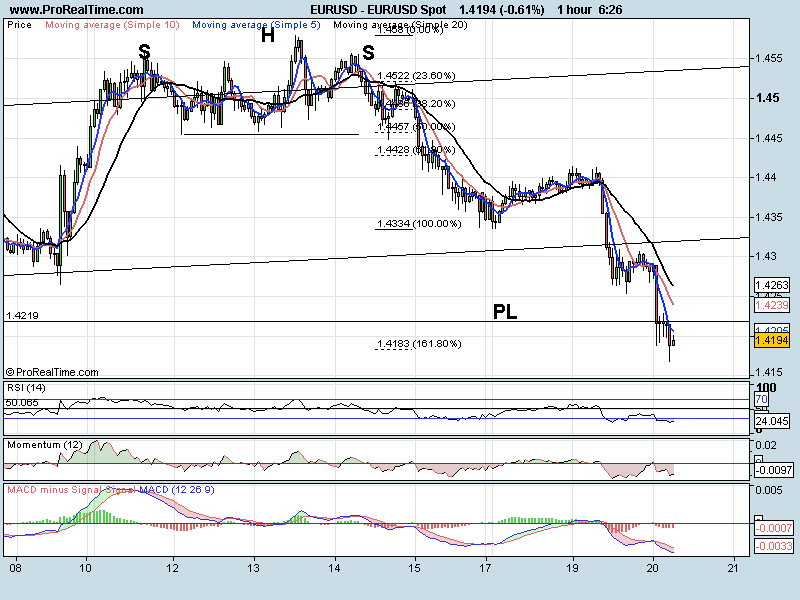 The EURUSD had a strong down day yesterday where we saw it break the expanding wedge formation and the previous low. 4 and 1 HR timeframes are looking exhausted and we may be forming a hammer on last 4 hr candle (too soon to tell). In my opinion, with the weekly Doji bar and the follow through we have had this week, any upward move should be short lived before the next move lower. I think the daily bar says it all. 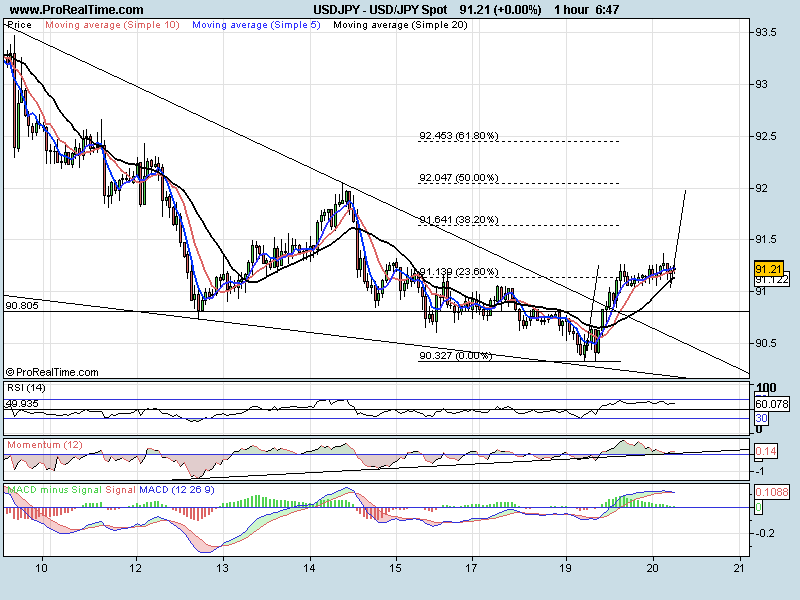 A huge doji spiking through our trend line resistance at 1.6432,that we mentioned yesterday at the open. We also had strong divergence to sell (MACD) on our 4 hour chart at the high. 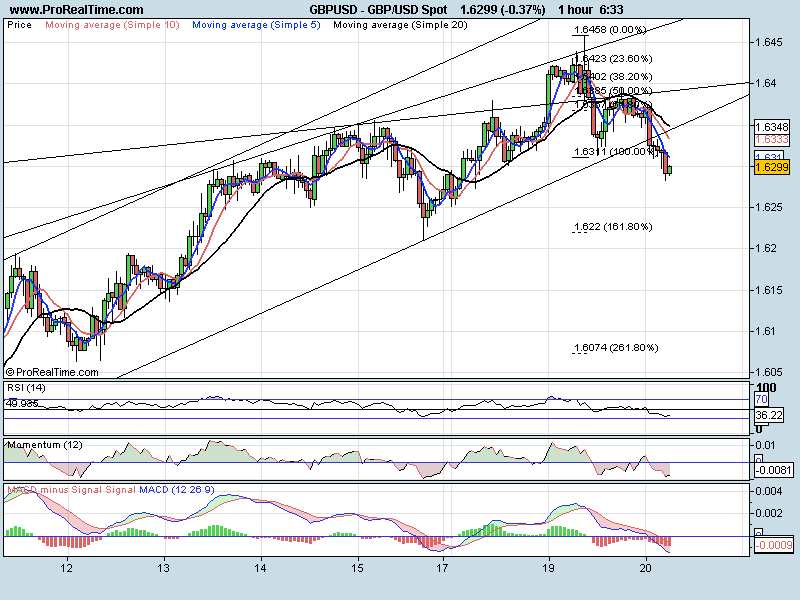 Looking to the 1 hr chart we can see the move lower through what was resistance, now support, at 1.6382. We then move back up off the trend line to ‘test’ the break out level again. Now we are outside the channel and heading lower impulsively. All indicators are bearish and RSI is approaching its oversold level. The next significant low is at 1.6210 which lines up with the 161.8% target area (1.6220).Other USD pairs are, however, looking exhausted so we may pullback from here. A move through 1.6350 would negate the view. USDCHF moved higher from the open yesterday breaking the sideways-down (corrective) channel. This turned all indicators bullish and above their signals lines and sent the pair up and through the trend line. All Long Term chart look bullish but we are looking heavily overbought on 1 HR. 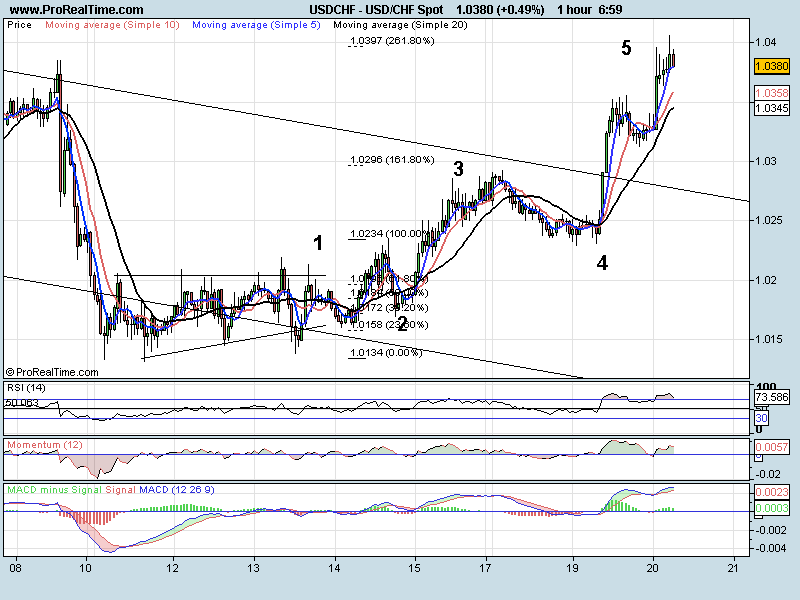 We can also see a 261.8% target area at 1.0397 so we may correct lower from here. If we do move lower it should be choppy and in three waves and target the break out zone. This should only be corrective before the next leg higher.